We love just about every fresh herb out there, but we especially love the flavor of dill. I wanted to incorporate some dill into a seitan recipe and decided to couple it with the Georgian spice blend, kharcho. 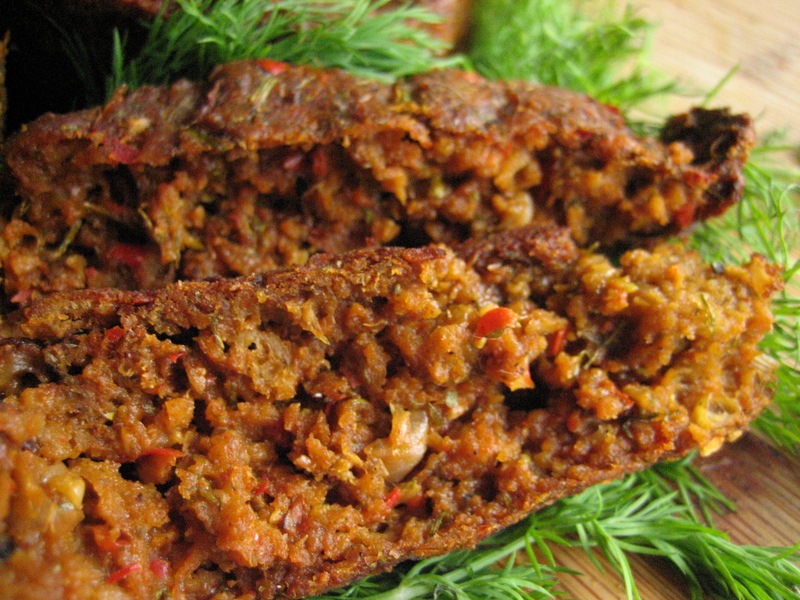 This is a really simple wheatloaf that takes minimal effort to make and leftovers make great sandwiches. Sauté the onion, garlic and bell pepper until soft in 2-3 teaspoons of olive oil. Set aside to cool. Once the vegetables have cooled, transfer to a food processor and add the dill. Pulse until it has a smooth consistency. Combine all dry ingredients in a bowl, mix well and set aside. Add the puréed vegetables and remaining wet ingredients into the bowl containing the dry ingredients. Mix by hand until the dry ingredients are fully incorporated. Spread the mixture out evenly in a loaf pan. Loosely cover with foil and bake for 90 minutes, removing the foil for the last 30 minutes. This looks beautiful and delicious! Can’t wait to try it! I hope you like it JL. 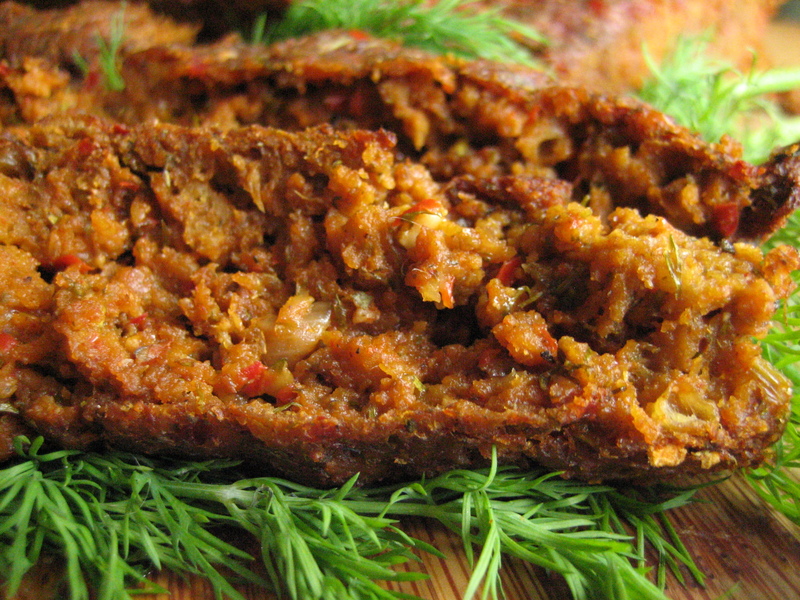 Heather texted me from work the other day and told me that a co-worker from Belarus smelled her dinner [wheatloaf leftovers] and was amazed because the scent reminded her of home. I think the flavor combination worked really well together.